Just outside the blink-and-you'll-miss-it hamlet of Suzy, Etangs du Moulin's variety of western-themed accommodation is sure to bring out the John Wayne in any intrepid pioneers. While there are an ample 30 level grass pitches for tents, caravans and modest-sized motorhomes, those seeking the authentic experience should opt for one of the hand-built pioneer waggons. Kids will love these charming chucks that can sleep a family of up to five. John, Lucky, Clint, Calamity and Charles are fitted with a double bed, a triple bunk, kitchen, shower and toilet. Best of all, they're equidistant from both the playground and saloon so mum and dad can enjoy a few scoops at the rum-hole while the littl'uns get in character. But it isn't all about the kids here. For those looking to really push the pony out, La Village Boheme features a trio of handsome roulottes, secreted away from the rest of the site. These gorgeous gypsy caravans are pretty much self-contained and you can even indulge in a spot of pampering with chilled champagne waiting on arrival, meals brought to your door and a full-body massage (just... erm... like the real cowboys then). Elsewhere, the tipi reservation features five Native American-style canvas abodes. Each sleep two couples and come complete with wood-burning stoves, BBQ, outdoor seating, and the 'Cheyenne refuge reserve' provides an atmospheric communal area for cooking and dining. For those who like their camping with a large dose of comfort, the six wooden cabanes have something to suit all glamping guests. Enjoying excellent views from their enviably-elevated position atop stilts, the lodges range from a two-person love shack to the family-sized Fisherman's Hut waterside cabin, with spacious veranda for spotting the trout leaping from the lake. The newest cabanes are the Cabane de D'Jo - with views on the lake from the king sized bed and a wooden bath and the Cabane du Grizzli with a round bed overlooking the lake and a hydro jet shower. Both set amongst trees by the waters edge - so kick off your boots and enjoy a spot of fishing from the veranda as you take in the tranquility of this setting. 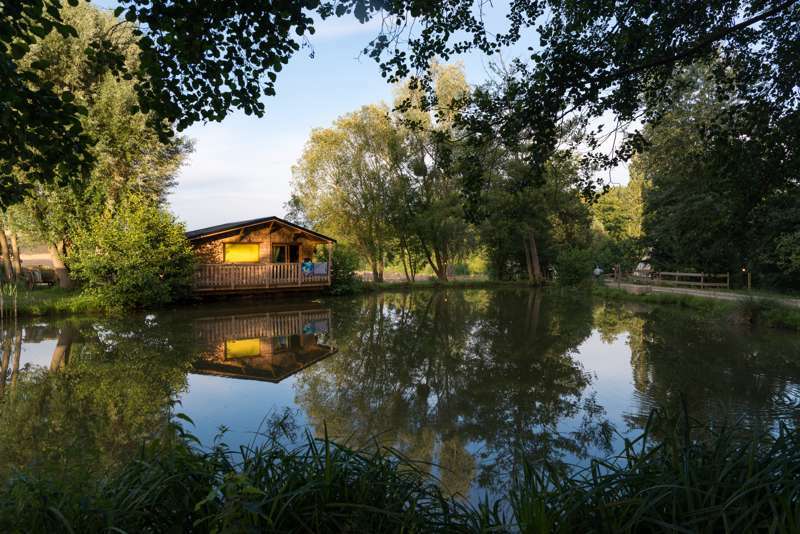 As the name suggests, there are an abundance of carp-filled lakes here at 'the watermill' and rods can be hired onsite. For those not as enamoured with angling, there's a heated outdoor swimming pool and a varied choice of other activities on offer, including pony trekking. And while you can't exactly rustle cattle, there's a proliferation of tiny, fluffy wild rabbits to herd. Don't forget your stetson. Welcome to our western-style Resort, with unusual and unique accommodations: wagons, tipis, log cabins, gypsy caravans and a campground. All just a 2½-hour drive from Calais and 15 minutes from Laon in Picardy, France. 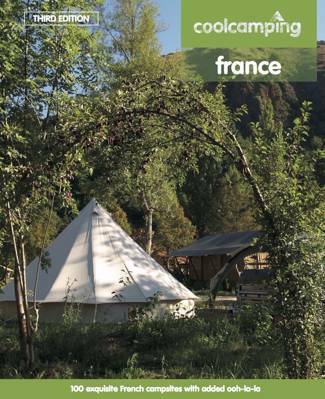 Located near the forest of St Gobain, the 3 stars resort "Les Étangs du Moulin" is the best place to ressource yourself, in the middle of nature. 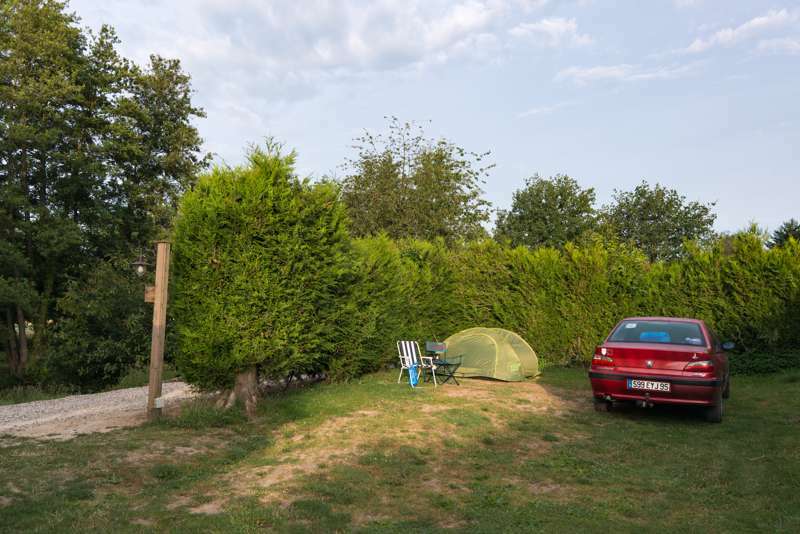 Our Camping is a small, friendly site to the south of St Quentin, established over 40 years ago and with just 61 camping pitches, each of which is named. There are no fewer than 8 lakes here, making this site a good choice for anglers (fishing materials available for rent). The Saloon has a Wild West theme and this is continued throughout the site, with teepees (available for rent), log cabins and an American-themed shop. Mountain bikes are available for hire and we are more than happy to recommend a number of different routes. 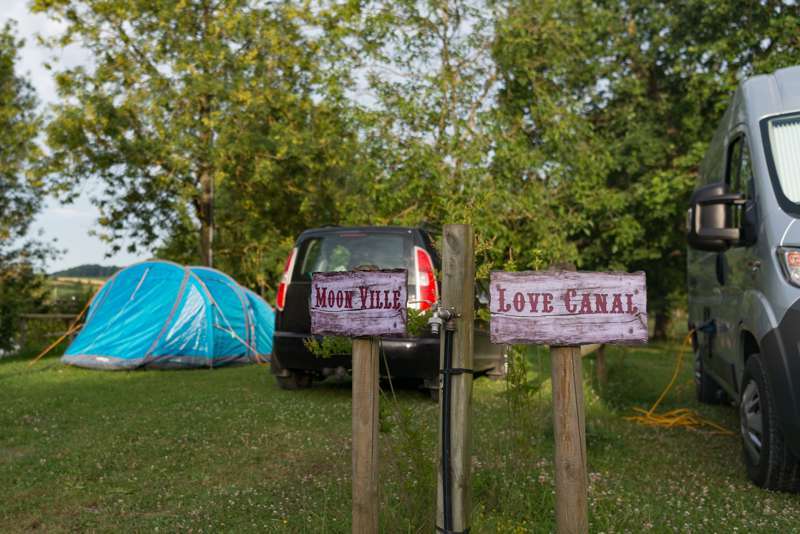 For latest availability and best prices for Camping Etangs du Moulin, please use the Date Search above. Chilled Wildwest meets French countryside retreat! Absolutely perfect stay st Etangs du Moulin, a lovely Wildwest meets French countryside retreat! Dog friendly too. Camping pitches are setup so that you have your own space, facilities are clean and the campsite has everything you need. The on-site restaurant and salloon is homely and welcoming and the food is delicious too. You really do feel transported to somewhere else and it’s so peaceful too. Highly recommend this campsite if you’re thinking about stopping here! We were pleased to be able to hire a tipi for just one night here on our way south-east. It turned out to be a great choice - extremely relaxing after a day's driving. The site was quieter and more chilled than we imagined. The tipi was lovely and well equipped with simple wooden furniture, tea-lights and lantern. Everything had a charming feel to it. We enjoyed an evening meal on the restaurant terrace and fresh bakery products in the morning. We would definitely stop here again. This was a stop over point to head further South for us on our holiday. We only did 2 nights at the site but as others have said - I would have stayed longer. The cowboy/western theme is a little random but it does give the site a unique charm. Fishing lakes dominate the site and with my little lad enjoying his fishing it was easy to entertain him. The pool is covered and quite small but good for an afternoons fun with the children and not at all busy. The site has trampolines, ping pong and some peddle go-karts but for my 2 kids (10 and 8) there wasn't a huge amount to do on site. I'd highly recommend the BBQ Formulae - which is a selection of meats, salads and bread delivered to your pitch. This is an amazing little site. It has a gentle, relaxed and happy quality. There are a few little ‘lakes’ to fish in or in our case walk the dogs around. We stayed on an electrical pitch in our camper/tent however there are incredible cowboy wagone, tippees with fit pits and lodges on lakes too. The facilities were perfect for us, our children ages 8 & 11y loved the go carts and ground level trampolines, the site is small enough that we let them wander around by themselves and had it not been so hot we all would have played on the sand volleyball court. The indoor pool was spotless and a perfect place to cool down and had showers and changing rooms. Also if your kiddies can swim there’s an attached area for sunbathing whilst keeping an eye of them. We are in their restaurant, outside overlooking the lake, we all had perfect meals, my trout cooked in paper was delicious. The staff were lovely. Our dogs were welcome there too. I wished we’d had a few spare days to stay longer. The town of Laon is around 15 mins away and looks like an amazing place to explore. Next time. If you’re considering this site, go for it, it’s country and western theme is fun but not tacky. We recently camped at this lovely campsite. It was a fantastic stay and we will definitely go back again. This site has a very relaxed feel about it and the owners couldn't be more helpful or friendly. We had dinner at the restaurant on the first night and the "cowboy" who served us made our children's holiday! The food was excellent and they even arranged for a takeaway dessert for us at our tent on our last night there. Each morning we collected fresh pastries and a baguette which was a treat. The site itself has great facilities. The heated pool was great and the fishing was fun for us all. The site is beautiful as there are a few carp lakes to fish in and our pitch overlooked the lakes. There are pony rides and go karts for the children, as well as trampolines, a playground and volley ball court. This is a very well run site with fantastic facilities! 30 different size pitches for tents and caravans, 4 roulottes, 5 tipis, 6 wooden lodges (including 2 on the lakeside) and 5 pioneer waggons in a seperate area. Tents, glampers, caravans, dogs, motorhomes – yes. Facilities include toilets and free hot solar-powered showers. Electrical hook-ups (5amp) available. Children's playground and other activites including volleyball, ping pong, pedal go-carting. Massage treatments on offer. Covered Heated swimming pool. 6 carp-filled fishing lakes. Rod hire is €8. Wi-Fi included. A variety of BBQ packs are available to order onsite. Breakfast hampers and sophisticated evening meals can also be arranged. The Tex'n restaurant serves decent pub grub and pintxos to snack on. The saloon boasts a selection of Belgian beers and cocktails – try 'The Scalp' if you dare! Suzy doesn't have much in the way of shops, but Anizy-le-Chateau (about 10 minutes' drive away) has a supermarket, butcher and bakery. Laon hosts a farmer's market every Thursday. Be sure to pick up a wedge of mariolles, Picardy's famous cow's-milk cheese. From Paris (1h30): Take 2 Nationnale and exit after 10 km towards Soissons Laon towards Anizy-le-Chateau/Pinon/ Faucoucourt. Continue straight until you reach Suzy. 1h15 from Charles de Gaulle airport. 1h30 from Paris North Railway Station to Anizy-le-Chateau/Pinon, which is 6 km from Suzy.